Degree work is the heart of Scottish Rite, frankly, it is what we do! Masons join us to learn the lessons of our degrees, and return for Reunions to have these lessons refreshed. 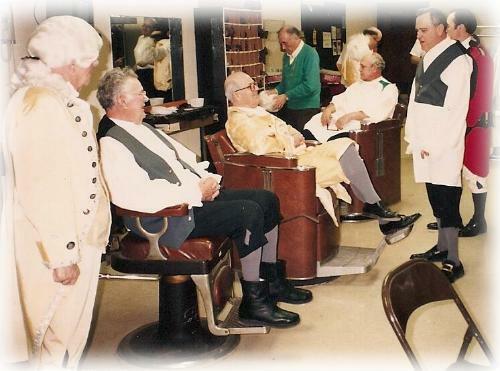 The Scottish Rite degrees are presented to our members as vignettes or theatrical plays. Men who have seen our degrees in the past are reminded, and men who are seeing a Scottish Rite degree for the first time are expected, to think about what they see and hear. We hope that they leave our auditorium asking themselves questions about what they believe to be truly important in their lives; whether they are better equipped with the ethics they need to guide them in making better life choices; do they have an understanding that life’s real heroes are people who strive to help others and by doing so, help themselves; have they perhaps found answers to questions of how they may react if or when they are confronted by the situations or personalities portrayed in the degrees; and are they more aware of clues that can guide each of man on his individual pathway toward becoming a better man, husband, father, friend and Mason. We encourage our members to return annually at each Spring and Fall Reunion, to rediscover the eternal truths of our degrees, to be refreshed from their labors in the day-to-day world of modern life, and to return to their labors… at home, at their job, or at their avocation… with a new sense of energy, mission and purpose. We are always looking for men to take roles in our degrees. There are speaking and non-speaking roles. There are also opportunities to join the stage crew; learn to run the lighting or sound boards; work in wardrobe to see that the actors are properly dressed and equipped to go on-stage; or do makeup to add age, dignity, emotions or a particular time period to the faces of our actors. You may even become one of our directors and be responsible for all aspects of a degree’s production. You’ll feel a great sense of accomplishment performing or supporting the production of our degrees and you will make lasting friendships with the guys you work with.